A Ross-shire man who twice evaded police capture by driving at high speed was brought to a halt by a “stinger” operation to deflate his tyres. Inverness Sheriff Court heard that the two instances of dangerous driving which Derek Mackay admitted, brought his total number of similar offences to four in the past 16 years. He was jailed for a total of 24 months, backdated to October 16 last year and banned from driving for five years and seven months. 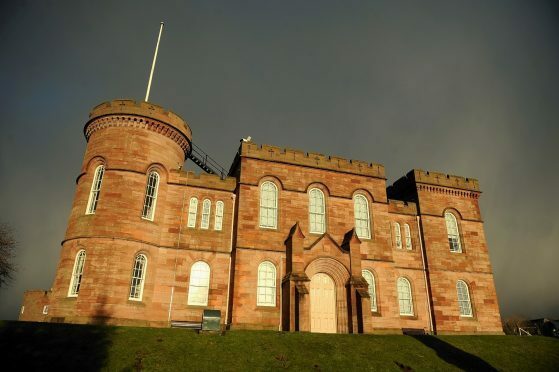 Mackay, 32, who is originally from Invergordon but also has Dingwall connections, had been on remand in Barlinnie Prison until his appearance yesterday (Friday) before Sheriff Gordon Fleetwood. The court was told that police had spotted Mackay in a Seat Leon on an unclassified road between Tain and Scotsburn on June 1 last year. An arrest warrant had been issued for him and a police constable tried to stop him. However Mackay sped away at high speed and the officer was instructed not to pursue the fugitive for public safety reasons. Fiscal depute Robert Weir said Mackay disappeared into the distance. But on June 10, 2018, he was again seen by police in a Volkswagen Golf on Strathpeffer Road in Dingwall. Once more, Mackay managed to evade capture and refused to stop. But he was again traced to another unclassified road at Heights of Fodderty and police deployed the “stinger” to stop him. The “stinger” is a spiked piece of apparatus designed to puncture tyres of a vehicle to bring it to a safe halt. It was then discovered that the vehicle had false number plates. Defence solicitor Mike Short said that his client’s first dangerous driving conviction was when he was 16. He added that he committed another of the same offences four years later and received a four month custodial sentence.